Update July 22, 2017: It looks like phase two of the No Man’s Sky ARG is picking up some pace, as the community have quickly made some new discoveries. First of all, the new site Boot Sector, which is a part of this ARG, has been worked out. 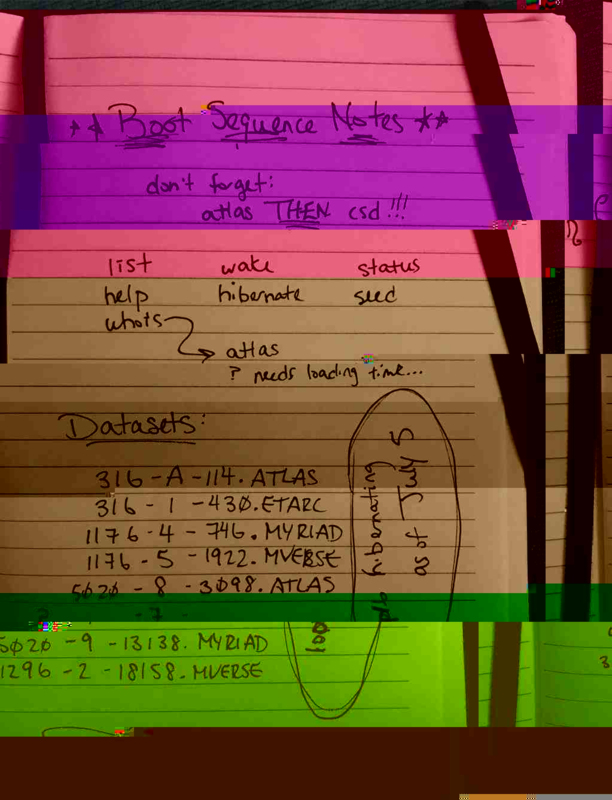 Members of the Citizen’s Science Division have been emailed codes, which have to be decrypted to reveal ‘Boot Sequence Notes’, which presumably mark the next part to the ARG. For more galactic adventures, check out our list of the best space games. Five of the glyphs on theWaking Titan pagehave been activated and it looks like the subreddit have some idea of what they’re doing with it, but it’s all a bit beyond me. Update July 21, 2017:Hello Games are now officially rivals with Blizzard for the most dragged-out and vague videogames ARG ever. Honestly, this makes Sombra’s stuff seem pedestrian. Eager No Man’s Sky fans have been refreshing the subreddit like mad today, in the hope that some new news was coming. Well it has. Sort of. The ARG now has a name and has for a while – it’s called Waking Titan. Perhaps we’re unlocking giant aliens, or maybe we’re going to get hulking spaceships. Either way, it all seems to be linked to two websites now, so at least we’re away from cassette tapes. The Project-WT site has a map of Earth and the phrase “calibration process” at the top of the page. Apart from dragging around the map, it doesn’t seem like there’s much to be done there just yet. Elsewhere, the Waking Titan site has 15 gylphs along the bottom of the page. Clicking the glyphs brings up a box in which you can type in an answer. There’s also a link out to PDF clues beneath each one. No doubt Reddit will have it all figured out soon, because I have no idea. Update June 7, 2017:The first tapes in the No Man’s Sky ARG have been deciphered. We learned yesterday (see below) that Hello Games sent out cassette tapes as part of an ARG that’s likely teasing the next update for No Man’s Sky. Some of the tapes have now been deciphered, revealing a message: ‘portal’.The tapes are numbered out of 16, but only seven have been found so far. On the A-side of each is a piece of synth music, while the B-side is seemingly meaningless noise. The message seems to be the same on all three of the tapes that have been spectrographed so far, so it’s not clear if deciphering the rest will yield any new information (though you’d hope so, or what’s the point of them?). So we may yet be missing something, but it’s worth noting that portals already exist in No Man’s Sky, teleporting the player to random parts of the galaxy, much like black holes. Perhaps the next update will extend their use somehow. Original story June 6, 2017:Hello Games have clearly been watching Netflix drama 13 Reasons Why, as there’s seemingly a new ARG happening right now, teasing upcoming content, and it’s happening via cassette tapes. According to NeoGAF, there were 16 packages sent out to Reddit mods, containing a bunch of No Man’s Sky-themed swag, as well as a cassette tape. These tapes were marked 1/16, 2/16, 3/16, etc, so it’s seems like they all work together to form a whole. The package also had two messages – “hope you like what’s next” and “dreaming of far-flung worlds”- suggesting the ARG will reveal the contents of the next big update. You can listen to the tapes that have been uploaded on this Reddit thread. No Man’s Sky got patched recently, adding ground vehicles, base building and more to the space sim. It’s a different game to what it was at launch.